Dr. Aamir Matin has over 35 years of work experience in the IT industry both in Pakistan as well as abroad. He is currently the Head of Technology for HBL, prior to which he was the Country Manager for Cisco Systems Inc. in Pakistan for a number of years. 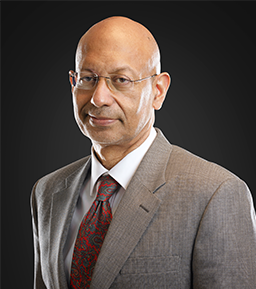 Dr. Matin has also worked at senior levels with the Government serving as the MD of the Pakistan Software Export Board as well as Advisor on IT to the Federal Minister for IT and Telecommunications, Government of Pakistan during 2002-2006. His early career was with the United Nations Development Program, working with countries in the Asia Pacific region on the use of Information Technology to enhance productivity in their public sectors. Dr. Matin has a BS in Electronic Engineering, an MS in Computer Engineering, and a PhD in Information Technology. He has taught graduate level courses at some of the leading universities of the country.